Have you thought about building a tiny house on your farm? Wondering how to get started and the issues you need to think through? A tiny house on your farm could be a great extra source of income by renting it out, a cozy place for your guests to stay, or even a place for you to live in if you embrace small living–or even while you build a larger house. 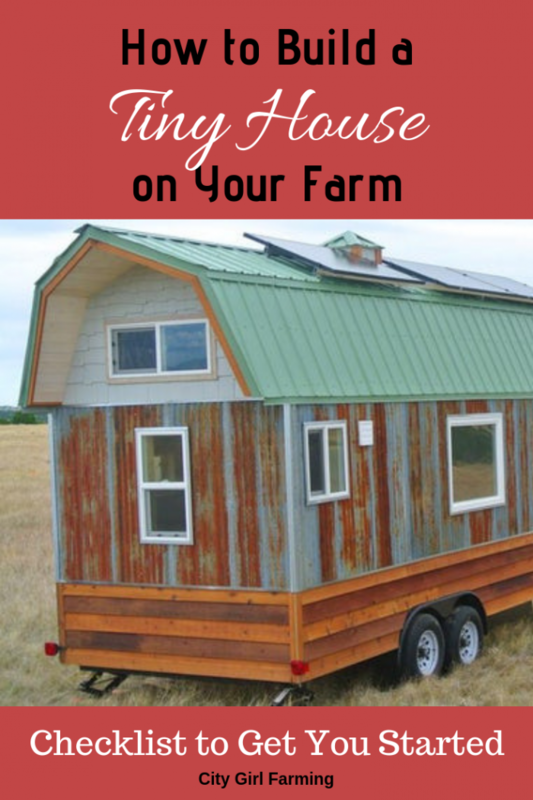 Below are some things to consider before you set the tiny house in motion on your farm. When people think about living on a farm, usually the first few things that come to mind are all of the chickens, cows, pigs, and land that they’ll have. So much land, in fact, that you might be considering building a tiny house on it for your guests, family, or to rent out. Whatever your needs are, here are a few things to consider before you start building. You might own a large piece of land, but unfortunately, that doesn’t mean you can build anything you want on it. Each city determines their zoning laws, and restrictions depend on a number of factors including the structure’s location. 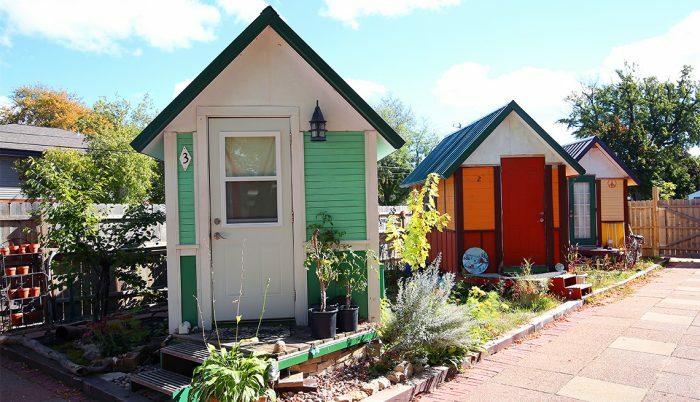 Many cities don’t even have laws addressing tiny houses specifically. Depending on where you live, you might find that you will have some difficulty learning whether or not you can build on your property. In addition to zoning laws, each city has construction codes that regulate the features of your building. This includes a minimum square footage for living spaces that tiny houses don’t often comply with. As tiny living continues to gain popularity, more and more cities are making changes to their laws to include tiny houses. If you don’t already own a farm and are a bit flexible on where you move to, you’ll be able to work with zoning laws and regulations. 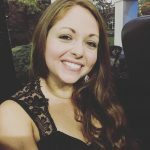 This is especially important if you plan to hook your tiny house up to the city’s water supply because you’ll need an inspector to come to your home to ensure everything is up to code. If it’s not, you’ll have more to worry about than where you get your water supply from. Another option is to rent a farm or likely a small piece of it. If you know anyone with an unused field on their property, you might be able to make a deal with them. Some farm owners might not be looking for money, but will likely be more willing to exchange some of their land for a bit of manual labor. You can’t ever have too many helping hands on a farm! The only problem with renting the area for your tiny house is that you’ll eventually be faced with the cost of moving it elsewhere. 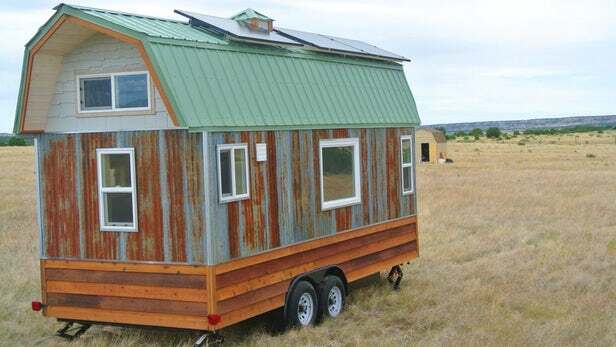 If you don’t own the land you’re building on, consider putting your tiny house on wheels. This will make transporting it in the future much easier and far more cost-efficient. When you choose to live a tiny lifestyle, you become part of a warm community of like-minded people. Everyone is quick to lend a hand and offer up their tiny house knowledge. If you’re new to this lifestyle, joining a tiny community isn’t a bad idea. You’ll have all of the support and assistance you could ask for, and a fun group of people to keep you company. Since farmland is abundant in the United States, there are a number of tiny house farm communities that sell or rent small plots of land. Depending on the community, you can grow your own food, learn how to embrace sustainable living, and become energy efficient. All with the support of others who are more experienced with downsizing. If this all sounds overwhelming to you, don’t fret. Fortunately, you can pay someone to create customized tiny house building plans based on what features you want or buy stock plans and kits. Unless you’ve built a house before, it’s recommended to have a professional create your tiny house plans so that you can start building your structure with confidence. Farm living doesn’t always mean you have to live in a big barn or ranch style home. Especially now that sustainable living has become more popular and people are looking for cheaper housing options, building a tiny house has never been easier. Enjoy having a view of open farmland each morning without having to pay an arm and a leg to maintain it. When you think about it, it’s the best of both worlds.